For those of you who have not noticed, MathWorks has made a very nice facelift to its official blogs section on Matlab Central (there are also some unofficial internal blogs, but they are unfortunately not publicly accessible). If you have not done so already, I encourage you to browse the available blogs and subscribe – some very interesting content has accumulated there, and continues to be added a few times each month. I follow these blogs closely, and have learned quite a bit from them over the years. Addendum April 4, 2014: It took some time but the anticipated official MathWorks blog post about this has finally arrived today! Thanks for community referring. 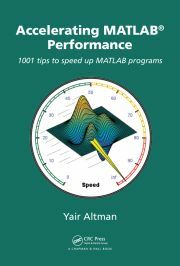 I wish this help to understand Matlab and resolve the issue that I am facing.